The best people to support children and young people are often young people themselves – that’s why young people with a spinal cord injury design and deliver Back Up’s activities for under 18s. 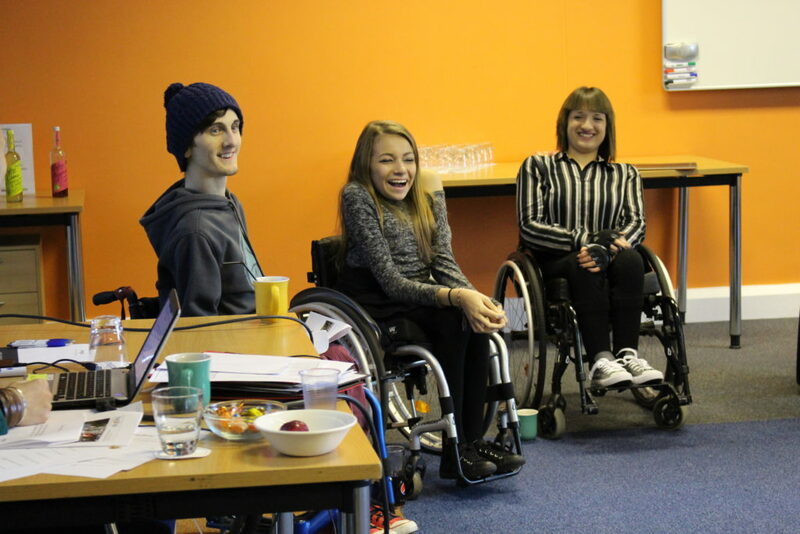 Since our youth participation work began in 2011, we have trained 26 children and young people aged between 10-18 to support other young people who are adjusting to life with a spinal cord injury. It might be teaching how to push their wheelchair while carrying a drink, or talking through similar experiences about going back to school or learning to drive. During a Back Up course, our young leaders encourage young people to try things they didn’t think possible after an injury, like using public transport and getting around a busy city. Our youth advisers tell us what we need to be doing for children and young people like coming up with new courses, social media forums and so much more! “What drives me most to volunteer for Back Up, and to help others is the fact that I have experienced help when I needed it most and it made such a difference to my lifestyle. To find out more about our volunteering please contact our U18s Services Manager, Ella, or give her a call on 020 8875 1805.